This is the TNT I started late in August this year. I have posted in the forum a little about it. I have incorporated a JS 550 kawasaki into the boat. The pics. 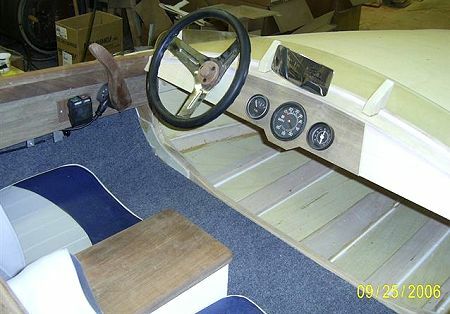 show the deck and interior temporarily in place. I have been waiting on some free cloth and resin so I did a lot of pre-fitting of parts I could remove easily. I used all the controls from the ski, steering, choke throttle. The steering wheel, shaft and its bearing housing came from a go-cart shop. 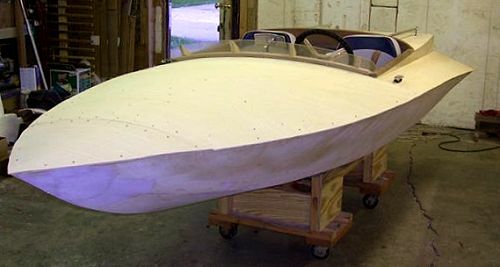 I lengthened the boat to 12'. Thanks to all the pics. of other boats, I was able to incoporate some of their ideas. 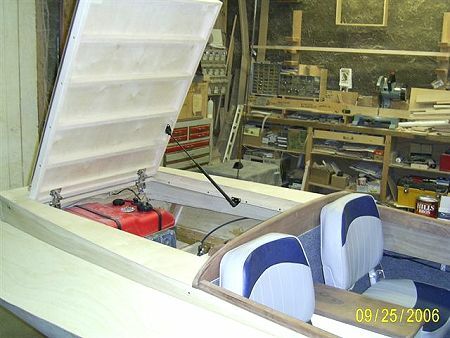 This is my second boat, the first being a Minimost I did in july. 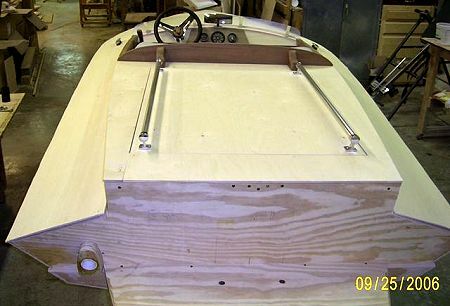 A word of caution to other cabinet makers, BOAT BUILDING IS ADDICTIVE.